Matteo Cantoni was born in 1974 in Milano, Italy. He graduated in Nuclear Engineering in 1999 and got his PhD in Physics in 2005. 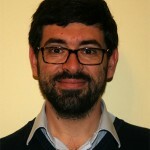 From 2008 to 2014 he was assistant professor at the Physics Department of Politecnico di milano, and from 2014 he is associate professor in the same university. His research activity is mainly devoted to the realization and characterization of magnetic heterostructures and devices for spin electronics. 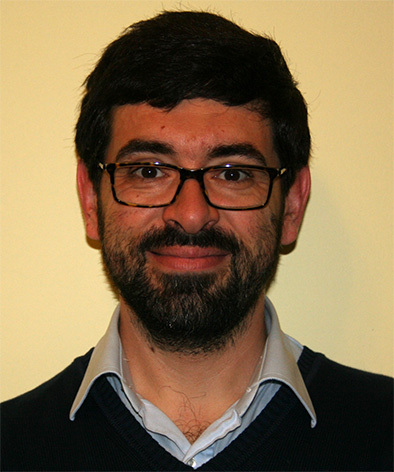 He was coordinator of a research project on nano-mechanobiology (MSCMD, granted by Politecnico di Milano) and actually he is coordinating a research project on antiferromagnet spintronics (MAGISTER, granted by Cariplo Foundation). He is author of 73 publications on international journals (Scopus h-index 16), 1 chapter book, 4 patent applications and a textbook on wave physics. C. Rinaldi, S. Bertoli, M. Asa, L. Baldrati, C. Manzoni, M. Marangoni, G. Cerullo, M. Bianchi, R. Sordan, R. Bertacco, and M. Cantoni, “Determination of the spin diffusion length in germanium by spin optical orientation and electrical spin injection,” Journal of Physics D: Applied Physics, vol. 49, iss. 42, 2016. M. Cantoni and C. Rinaldi, “Light helicity detection in MOS-based spin-photodiodes: An analytical model,” Journal of Applied Physics, vol. 120, iss. 10, 2016. L. Baldrati, C. Rinaldi, A. Manuzzi, M. Asa, L. Aballe, M. Foerster, N. Biškup, M. Varela, M. Cantoni, and R. Bertacco, “Artificial Multiferroics: Electrical Switching of Magnetization in the Artificial Multiferroic CoFeB/BaTiO3 (Adv. Electron. Mater. 7/2016),” Advanced Electronic Materials, vol. 2, iss. 7, 2016. L. Baldrati, C. Rinaldi, A. Manuzzi, M. Asa, L. Aballe, M. Foerster, N. Biškup, M. Varela, M. Cantoni, and R. Bertacco, “Electrical Switching of Magnetization in the Artificial Multiferroic CoFeB/BaTiO3,” Advanced Electronic Materials, vol. 2, iss. 7, 2016. R. Bertacco and M. Cantoni, New trends in magnetic memories, , 2016. C. Rinaldi, J. C. Rojas-Sánchez, R. N. Wang, Y. Fu, S. Oyarzun, L. Vila, S. Bertoli, M. Asa, L. Baldrati, M. Cantoni, J. -M. George, R. Calarco, A. Fert, and R. Bertacco, “Evidence for spin to charge conversion in GeTe(111),” APL Materials, vol. 4, iss. 3, 2016. M. Liebmann, C. Rinaldi, D. Di Sante, J. Kellner, C. Pauly, R. N. Wang, J. E. Boschker, A. Giussani, S. Bertoli, M. Cantoni, L. Baldrati, M. Asa, I. Vobornik, G. Panaccione, D. Marchenko, J. Sánchez-Barriga, O. Rader, R. Calarco, S. Picozzi, R. Bertacco, and M. Morgenstern, “Giant Rashba-Type Spin Splitting in Ferroelectric GeTe(111),” Advanced Materials, vol. 28, iss. 3, pp. 560-565, 2016. M. Asa, L. Baldrati, C. Rinaldi, S. Bertoli, G. Radaelli, M. Cantoni, and R. Bertacco, “Electric field control of magnetic properties and electron transport in BaTiO3-based multiferroic heterostructures,” Journal of Physics Condensed Matter, vol. 27, iss. 50, 2015. C. Rinaldi, M. Cantoni, M. Marangoni, C. Manzoni, G. Cerullo, and R. Bertacco, “Wide-range optical spin orientation in Ge from near-infrared to visible light,” Physical Review B – Condensed Matter and Materials Physics, vol. 90, iss. 16, 2014. A. Brambilla, M. Cantoni, A. Picone, M. Riva, A. Calloni, G. Berti, G. Bussetti, P. Vavassori, M. Finazzi, L. Duò, and F. Ciccacci, “Magneto-optical investigation of Fe/CoO/Fe(001) trilayers.” 2014. C. Rinaldi, S. Bertoli, M. Cantoni, C. Manzoni, M. Marangoni, G. Cerullo, M. Bianchi, R. Sordan, and R. Bertacco, “Determination of spin diffusion length in Germanium by optical and electrical spin injection.” 2014. G. Radaelli, M. Cantoni, L. Lijun, M. Espahbodi, and R. Bertacco, “Two dimensional growth of ultrathin Fe films on BaTiO3 with sharp chemical interface,” Journal of Applied Physics, vol. 115, iss. 6, 2014. F. Djeghloul, F. Ibrahim, M. Cantoni, M. Bowen, L. Joly, S. Boukari, P. Ohresser, F. Bertran, P. Le Fèvre, P. Thakur, F. Scheurer, T. Miyamachi, R. Mattana, P. Seneor, A. Jaafar, C. Rinaldi, S. Javaid, J. Arabski, J. -P. Kappler, W. Wulfhekel, N. B. Brookes, R. Bertacco, A. Taleb-Ibrahimi, M. Alouani, E. Beaurepaire, and W. Weber, “Direct observation of a highly spin-polarized organic spinterface at room temperature.” 2014. F. Djeghloul, F. Ibrahim, M. Cantoni, M. Bowen, L. Joly, S. Boukari, P. Ohresser, F. Bertran, P. Le Fèvre, P. Thakur, F. Scheurer, T. Miyamachi, R. Mattana, P. Seneor, A. Jaafar, C. Rinaldi, S. Javaid, J. Arabski, J. -P. Kappler, W. Wulfhekel, N. B. Brookes, R. Bertacco, A. Taleb-Ibrahimi, M. Alouani, E. Beaurepaire, and W. Weber, “Direct observation of a highly spin-polarized organic spinterface at room temperature,” Scientific Reports, vol. 3, 2013. C. Rinaldi, M. Espahbodi, M. Cantoni, and R. Bertacco, “Spin-photodiodes for SiGe spin-optoelectronics.” 2012. P. Torelli, M. Sperl, R. Ciancio, J. Fujii, C. Rinaldi, M. Cantoni, R. Bertacco, M. Utz, D. Bougeard, M. Soda, E. Carlino, G. Rossi, C. H. Back, and G. Panaccione, “Growth of ultrathin epitaxial Fe/MgO spin injector on (0, 0, 1) (Ga, Mn)As,” Nanotechnology, vol. 23, iss. 46, 2012. M. Cantoni, R. Bertacco, A. Brambilla, M. Finazzi, L. Duò, F. Ciccacci, A. Verdini, L. Floreano, A. Morgante, M. Passoni, C. S. Casari, and A. Li Bassi, “Fe nanoparticles on ZnSe: Reversible temperature dependence of the surface barrier potential,” Physical Review B – Condensed Matter and Materials Physics, vol. 85, iss. 15, 2012. M. Donolato, M. Gobbi, P. Vavassori, M. Cantoni, V. Metlushko, B. Ilic, M. Zhang, S. X. Wang, M. F. Hansen, and R. Bertacco, “Detection of a single synthetic antiferromagnetic nanoparticle with an AMR nanostructure: Comparison between simulations and experiments,” Journal of Physics: Conference Series, vol. 200, iss. SECTION 12, 2010. C. Borioli, S. Franz, P. L. Cavallotti, M. Cantoni, and R. Bertacco, “Influence of magnetic fields on autocatalytic deposition of Co-Fe thin films,” Journal of the Electrochemical Society, vol. 157, iss. 8, 2010. P. Vavassori, M. Gobbi, M. Donolato, M. Cantoni, R. Bertacco, V. Metlushko, and B. Ilic, “Magnetic nanostructures for the manipulation of individual nanoscale particles in liquid environments (invited),” Journal of Applied Physics, vol. 107, iss. 9, 2010. I. Pallecchi, L. Pellegrino, N. Banerjee, M. Cantoni, A. Gadaleta, A. S. Siri, and D. Marré, “Cu2O as a nonmagnetic semiconductor for spin transport in crystalline oxide electronics,” Physical Review B – Condensed Matter and Materials Physics, vol. 81, iss. 16, 2010. M. Donolato, M. Gobbi, P. Vavassori, M. Leone, M. Cantoni, V. Metlushko, B. Ilic, M. Zhang, S. X. Wang, and R. Bertacco, “Nanosized corners for trapping and detecting magnetic nanoparticles,” Nanotechnology, vol. 20, iss. 38, 2009. M. Cantoni, R. Bertacco, A. Brambilla, and F. Ciccacci, “Photon- and electron-induced surface voltage in electron spectroscopies on ZnSe(0 0 1),” Journal of Electron Spectroscopy and Related Phenomena, vol. 173, iss. 2-3, pp. 84-87, 2009. A. Brambilla, P. Sessi, M. Cantoni, M. Finazzi, N. Rougemaille, R. Belkhou, P. Vavassori, L. Duò, and F. Ciccacci, “Frustration-driven micromagnetic structure in Fe/CoO/Fe thin film layered systems,” Physical Review B – Condensed Matter and Materials Physics, vol. 79, iss. 17, 2009. P. Vavassori, V. Metlushko, B. Ilic, M. Gobbi, M. Donolato, M. Cantoni, and R. Bertacco, “Domain wall displacement in Py square ring for single nanometric magnetic bead detection,” Applied Physics Letters, vol. 93, iss. 20, 2008. A. Brambilla, P. Sessi, M. Cantoni, L. Duò, M. Finazzi, and F. Ciccacci, “Epitaxial growth and characterization of CoO/Fe(001) thin film layered structures,” Thin Solid Films, vol. 516, iss. 21, pp. 7519-7524, 2008. R. Bertacco, A. Tagliaferri, M. Riva, L. Signorini, M. Cantoni, A. Cattoni, F. Ciccacci, B. A. Davidson, F. Maccherozzi, I. Vobornik, and G. Panaccione, “Surface electronic and magnetic properties of La2/3 Sr1/3 MnO3 thin films with extended metallicity above the Curie temperature,” Physical Review B – Condensed Matter and Materials Physics, vol. 78, iss. 3, 2008. A. Cattoni, R. Bertacco, M. Cantoni, F. Ciccacci, H. Von Kaenel, and G. J. Norga, “Impact of O2 exposure on surface crystallinity of clean and Ba terminated Ge(1 0 0) surfaces,” Applied Surface Science, vol. 254, iss. 9, pp. 2720-2724, 2008. C. Borioli, S. Franz, M. Bestetti, M. Cantoni, and P. L. Cavallotti, “Magnetic properties of Co-Fe ultra-thin films by electroless deposition.” 2007, pp. 81-90. M. Cantoni, R. Bertacco, F. Ciccacci, E. Puppin, E. Pinotti, M. Brenna, M. Marangolo, M. Eddrieff, P. Torelli, F. Maccherozzi, J. Fujii, and G. Panaccione, “Temperature-dependent magnetism of Fe thin films on ZnSe(0 0 1),” Journal of Magnetism and Magnetic Materials, vol. 316, iss. 2 SPEC. ISS., 2007. M. Cantoni, M. Riva, R. Bertacco, and F. Ciccacci, “Uniaxial magnetic anisotropies in Fe films on single crystal and virtual Ge(001) substrates studied with spin polarized inverse photoemission and MOKE,” Physical Review B – Condensed Matter and Materials Physics, vol. 74, iss. 13, 2006. L. Signorini, M. Riva, M. Cantoni, R. Bertacco, and F. Ciccacci, “Epitaxial La2 / 3Sr1 / 3MnO3 thin films with unconventional magnetic and electric properties near the Curie temperature,” Thin Solid Films, vol. 515, iss. 2 SPEC. ISS., pp. 496-499, 2006. A. Cattoni, R. Bertacco, M. Riva, M. Cantoni, F. Ciccacci, H. Von Känel, and G. J. Norga, “Effect of Ba termination layer on chemical and electrical passivation of Ge (1 0 0) surfaces,” Materials Science in Semiconductor Processing, vol. 9, iss. 4-5 SPEC. ISS., pp. 701-705, 2006. M. Cantoni, M. Riva, G. Isella, R. Bertacco, and F. Ciccacci, “Ultrathin Fe films on single crystal and virtual Ge(0 0 1) substrates: Towards the control of magnetic properties,” Applied Surface Science, vol. 252, iss. 15, pp. 5304-5307, 2006. R. Bertacco, M. Cantoni, M. Riva, A. Tagliaferri, and F. Ciccacci, “Epitaxial growth and characterization of layered magnetic nanostructures,” Applied Surface Science, vol. 252, iss. 5, pp. 1754-1764, 2005. U. Lüders, M. Bibes, J. -F. Bobo, M. Cantoni, R. Bertacco, and J. Fontcuberta, “Enhanced magnetic moment and conductive behavior in Ni Fe2 O4 spinel ultrathin films,” Physical Review B – Condensed Matter and Materials Physics, vol. 71, iss. 13, 2005. R. Bertacco, M. Riva, M. Cantoni, L. Signorini, and F. Ciccacci, “Epitaxial la2/3Sr1/3MnO3 thin films with metallic behavior above the Curie temperature,” Applied Physics Letters, vol. 86, iss. 25, pp. 1-3, 2005. A. Brambilla, L. Duò, M. Cantoni, M. Riva, R. Bertacco, M. Portalupi, and F. Ciccacci, “Onset of ferromagnetism in ultrathin Fe films on semiconductors,” Solid State Communications, vol. 135, iss. 3, pp. 158-161, 2005. M. Cantoni, M. Riva, G. Isella, R. Bertacco, and F. Ciccacci, “Fe thin films grown on single-crystal and virtual Ge(001) substrates,” Journal of Applied Physics, vol. 97, iss. 9, 2005. M. Cantoni and R. Bertacco, “High efficiency apparatus for spin polarized inverse photoemission,” Review of Scientific Instruments, vol. 75, iss. 7, pp. 2387-2392, 2004. M. Portalupi, R. Bertacco, M. Cantoni, A. Brambilla, M. Riva, L. Duó, and F. Ciccacci, “Electronic and magnetic properties of the Fe/ZnSe(0 01) interface,” Journal of Magnetism and Magnetic Materials, vol. 272-276, iss. III, pp. 1907-1908, 2004. R. Bertacco, M. Riva, M. Cantoni, F. Ciccacci, M. Portalupi, A. Brambilla, L. Duò, P. Vavassori, F. Gustavsson, J. -M. George, M. Marangolo, M. Eddrief, and V. H. Etgens, “Electronic, magnetic, and structural properties of the Fe/ZnSe interface,” Physical Review B – Condensed Matter and Materials Physics, vol. 69, iss. 5, pp. 544211-544217, 2004.